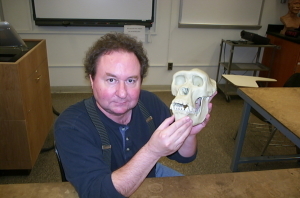 Among the subdisciplines of Biological Anthropology, I publish research particularly concerning Human Dental Variation, Biodistance, Epidemiology of Malocclusion, the Evolution of Disease, Morphometrics and Statistics with special reference to concepts of shape, and various aspects of Primate and Hominid Evolution. 1999 How Anthropology Informs the Orthodontic Diagnosis of Malocclusion's Causes. Edwin Mellen Press, Lewiston. 1994 Integrative Paths to the Past: Paleoanthropological Advances in Honor of F. Clark Howell. R.S. Corruccini and R.L. Ciochon, eds. Prentice-Hall, New York. 1983 New Interpretations of Ape and Human Ancestry, R.L. Ciochon and R.S. Corruccini, eds. Plenum Press, New York. 1981 Primate Behavior and Sociobiology: Selected Papers from the VIII International Congress of Primatology, R.S. Corruccini and A.B. Chiarelli, eds. Springer-Verlag, Heidelberg.